Aiden is the second child of Josh and Brandi Durham. He loves playing with toys, drawing, using his iPad and playing games on his Wii. He argues with his brother and knows his address and phone number. He is doing very well now, but it wasn’t always that way. When Aiden was between 18 months and two years old, his parents began to notice that he was losing his ability to communicate. And then, Aiden was diagnosed with autism. After the family met with Dr. Pat Ghezzi, a co-founder of the UNR Early Childhood Autism Program, Aiden was enrolled in the program in March 2012. Autism Spectrum Disorder affects one in 88 children in America; it is related to difficulties with communication and social interaction. Although the causes of autism are still unknown, it affects more than two million Americans. There are many different treatment processes used but the Early Childhood Autism Program uses Applied Behavior Analysis. When a child is enrolled in the UNR Early Childhood Autism Program, a team of tutors is formed. The tutors work together to tailor a program specially for this child, to fit his or her needs. The program is home-based and the children in the program have tutors come into their houses for 30 hours a week. The program includes the parents and any siblings by teaching them how to interact with the child to produce optimal results. It is a very intensive program, but it has great results. Aiden is still in the UNR program but he is now reading and goes to preschool three days a week. Aiden’s parents consistently work with his case manager, Ainsley Lewon to make sure he is getting everything he needs in order to be successful. If they have concerns, his program can be modified to meet their needs. One thing Brandi and her husband Josh have loved seeing is the way Aiden and their older son Peyton have begun communicating. They really are interacting much more than before the program. They bicker and play and now Aiden is able to express what he wants to do or what movie he wants to watch. He wasn’t able to do so before the program. The fact that Aiden is exhibiting typical younger brother behavior is very exciting for his family. “They now play as any set of brothers would. The first time Aiden said ‘I’m going to copy you now’ and proceeded to copy each thing his brother said made me tear up,” Brandi said. It might seem strange to be happy about something so many older siblings find annoying, but this is something Aiden never did before. Peyton is also happy to be a big brother to Aiden and teach him so many things about life. 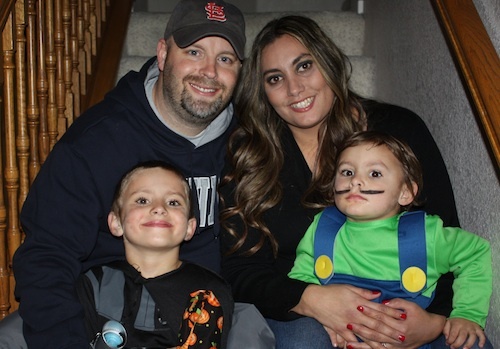 The family is getting a chance to see Aiden grow and fully understand the little things he was never able to before the UNR Early Childhood Autism Program. This holiday season is very special to the family as it is the first one that Aiden actually knows what is going on and understands what happens on Christmas. “He named off a list of things he wants from Santa and loves looking at all the Christmas displays in stores,” Brandi said. She also said that in the past, Aiden was not able to communicate what he wanted for Christmas, so she and Josh usually just got him what they thought he might like. Seeing him actively thinking about what he wants and asking his parents for presents is extremely exciting for them. They are seeing him grow more and more every day. Aiden is doing so well in the program that the tutors have decreased his weekly hours from 30 to 20, which is very exciting for everyone involved. The family and Aiden’s tutors get along well and they are all happy to see the progress he is making and how well he has done. Even after some of the tutors have left the team, Brandi says it is very cool to see them come back and play with Aiden or just say hello. The team has become like part of the family. 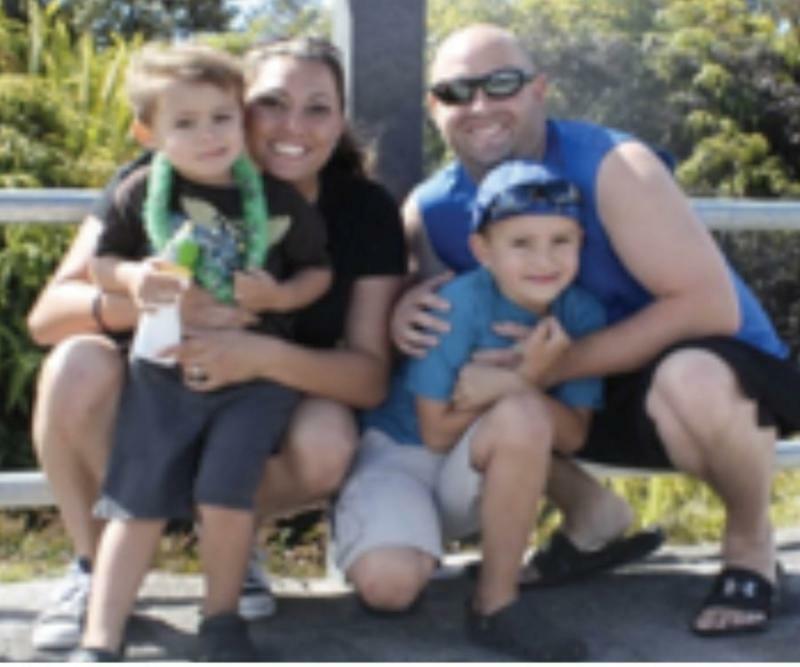 “Our goal is that Aiden will start kindergarten next fall just as any other child would,” Brandi said. This program has had such great results even in a short period of time and it is incredible that Aiden has made so much progress. Everyone involved is excited to see the big steps he as made and how he continues to grow and thrive in his life.